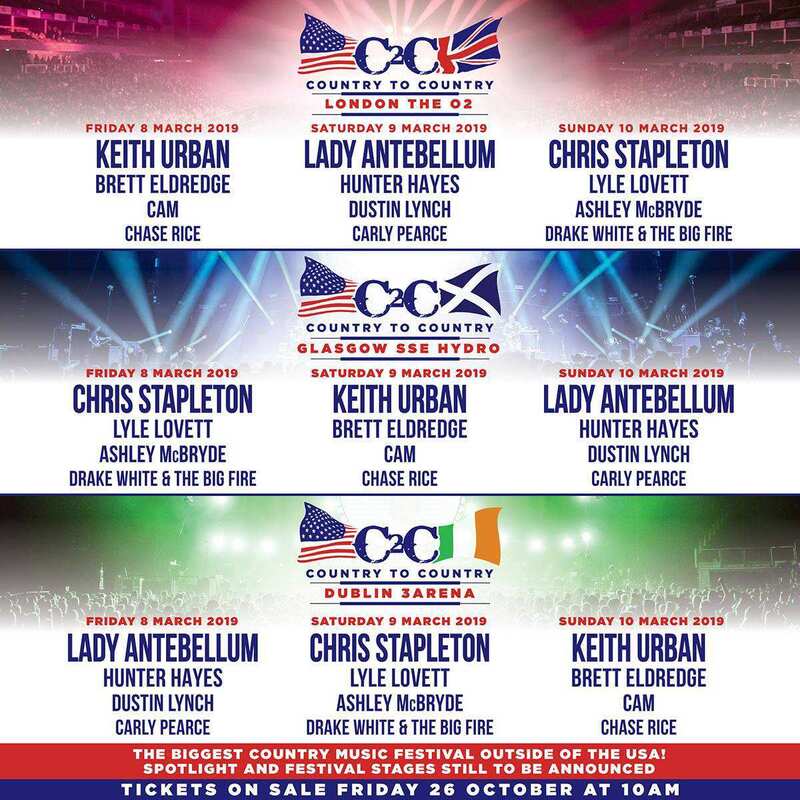 Join Ben Atkinson-Foster for Ben's Country Music Show, which this week looks back at the 2019 Country 2 Country Festival which took place in London, Dublin and Glasgow. The show features interviews recorded back stage at the SSE Hydro in Glasgow with Chase Rice, Ingrid Andress and Logan Mize. Hear the three artists chatting with Ben about their performances at the festival, latest music and dream collaborations. There's also time for a brand new song from Brad Paisley, your This Week in Country Music History and the Billboard Charts.